It’s All In The Mind — So Tap It! The theatre of the mind is also at play when we laugh at a joke or funny story. What causes us to laugh? The speaker’s delivery? Possibly. The setup? Maybe. But, more than likely, it was because we were able to “visualize” the scenario described. We’ve all muttered at some point, “I could just picture that.” And whether we were conscious of it or not, we all experienced firsthand our ability to generate pictures — not on paper, canvas, or screens, but in our mind based upon what entered our ears. Our brain is the world’s most powerful screen, and our memories are largely comprised of pictures. We daydream, recall, and reflect largely in pictures. And the spoken word or audio often triggers these pictures, all without the benefit of a single pixel. The best part is that these “pictures” can’t be fast-forwarded, DVR’d, turned off, or — more importantly — completely ignored. We’ve seen the theatre of the mind demonstrated in the past in several Katz studies. Respondents were asked to jot down what popped into their heads after exposure to an audio clip, such as Taco Bell’s “bong” sound or the Gecko’s voice. They provided surprisingly vivid descriptions of the advertisers’ products/mascots after exposure to only a few seconds of an audio clip, some of which included only a word or two, with others containing only music. – What popped into my head based upon what I just heard? – What mental images did I just experience? Yadav also said something extremely perceptive on the panel when he said, “This is perhaps why some movie adaptations of celebrated books fail — what you see on screen is very different from what you’d imagined.” When we read we actually listen (to ourselves), and whenever we listen we conjure up personal images based on our own experience/interpretation; and when a book is made into a movie, the images on the screen often won’t jibe with the images that we conjured up in our minds while reading. This doesn’t and can’t occur with a radio commercial, as every image is uniquely our own. When Bill Ludwig was Chairman & CEO of Campbell Ewald, he said, “Radio can be used to position and target, to demonstrate and even display.” Display? Yep, when used properly with the right creative, radio can be the most visual of all media. Bob McCurdy is Vice President of Sales for the Beasley Media Group. 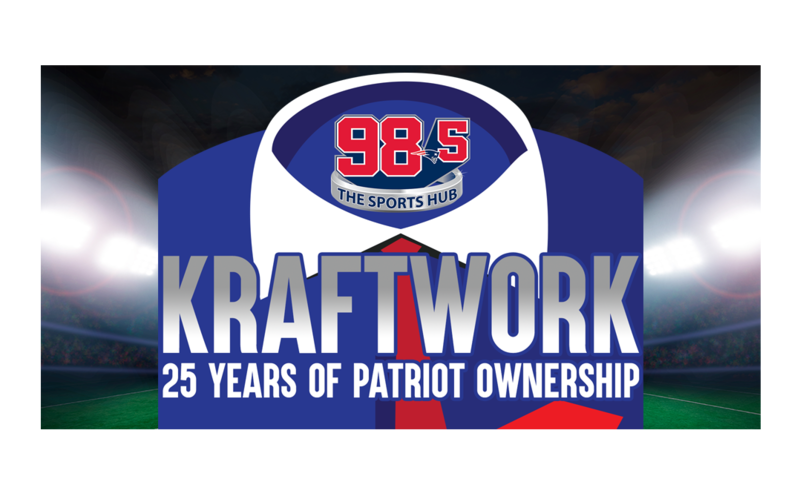 Marc Bertrand of 98.5 The Sports Hub, takes us on a fascinating look at the 25 year history of the Kraft family’s ownership of the five-time Super Bowl Champion New England Patriots. Featuring interviews with both Robert and Jonathan Kraft along with archived audio, this is a must listen to podcast for any Patriots fan, Boston resident and football history fanatic. A new episode is released each game day of the 2018 football season. In a very powerful five-part discussion, BMG EVP of Strategy and Innovation, Buzz Knight speaks award-winning author Doris Kearns Goodwin on the key messages in her new book, Leadership in Turbulent Times. In this episode of Healthy Paranoia, Buzz and Doris’ discussion focuses on many of the common traits and threads of leadership that we see in the four presidents featured in Leadership in Turbulent Times. 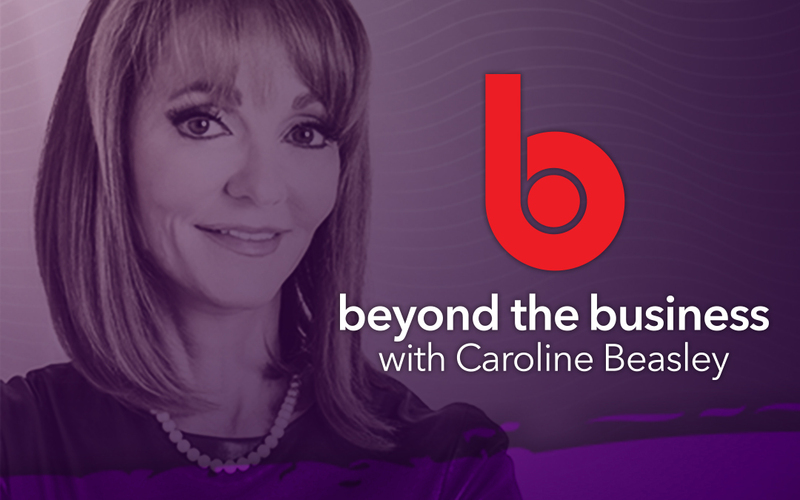 In this episode of Beyond The Business, Beasley Media Group CEO, Caroline Beasley, speaks with Jeremy Kaplan, Editor in Chief of Digital Trends. Having spent two decades writing and speaking about technology, it’s no surprise to find Kaplan leading the editorial charge at Digital Trends. As a leading consumer technology publisher, Digital Trends helps more than 30 million unique visitors each month navigate an increasingly digital world. During their time together on this episode, Caroline and Jeremy focus on how technology is changing personal care, in the doctor’s office and the gym and they also discuss that with the move toward driver-less cars if getting a driver’s license will cease to be a rite of passage. In this episode of Healthy Paranoia, Buzz and Doris’ discussion focuses on the leadership of Lyndon Baines Johnson. In the next episode, Buzz and Doris look the traits of all four presidents profiled in her new book Leadership in Turbulent Times. In this episode of Healthy Paranoia, Buzz and Doris’ discussion focuses on the leadership of Franklin Delano Roosevelt. In the next episode, Buzz and Doris look at the leadership of Lyndon Baines Johnson.